Kentucky Cabinet for Health and Family Services, Division of Child Care accepts training that is approved through the Kentucky Early Childhood Education Training Records Information System (ECE-TRIS). ChildCare Education Institute (CCEI) is approved as a training organization in the Kentucky Early Childhood Education Training Records Information System (ECE-TRIS); therefore, most courses are approved to meet Early Care and Education in-service training requirements. For additional information regarding the acceptance of CCEI’s coursework in Kentucky, visit http://chfs.ky.gov/dcbs/dcc/trng_app.htm or contact the Division of Child Care at 800.421.1903. Kentucky early childhood professionals are instructed to review the approved training list on the Kentucky ECE-TRIS website calendar prior to taking any online training to ensure they were approved by the Division of Child Care and to find the dates approved. 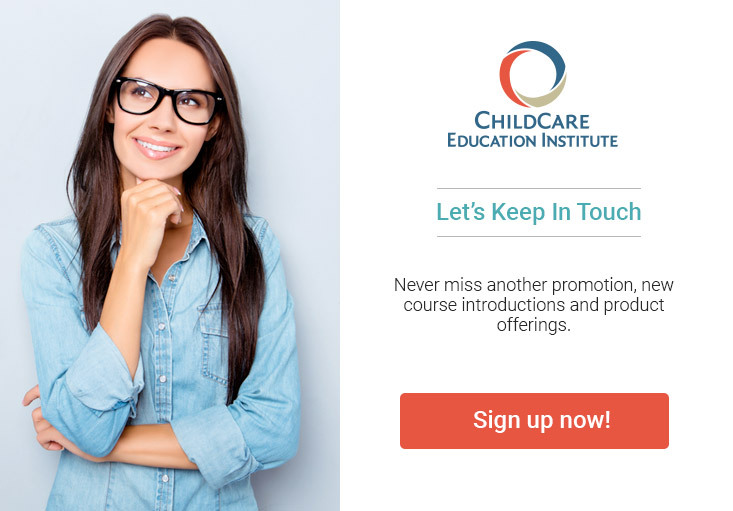 CCEI approved trainings can be found by searching the calendar under the Independent Study and Web-Based Trainings tab and filtering for CCEI as the Sponsoring Agency. The following four courses have not been approved for in-service hours for KY staff. The State of Kentucky has developed these mandatory trainings for all providers and trainers. The training must be presented by specially trained presenters.